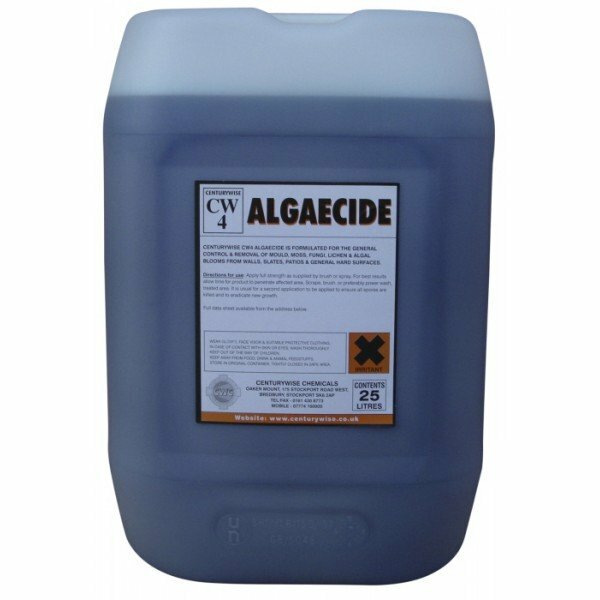 Centurywise CW4 algaecide has been specially formulated for the general control and removal of moss, mould, fungi, lichen, and algal blooms from walls, tiles, slates, patios, and general hard sufaces. 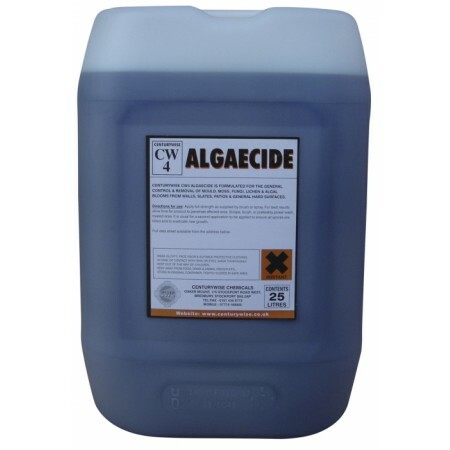 Product can also be used internally to remove damp marks from walls prior to painting or re-decorating. Apply full strength as supplied by brush or spray. For best results allow time for product to penetrate affected area . 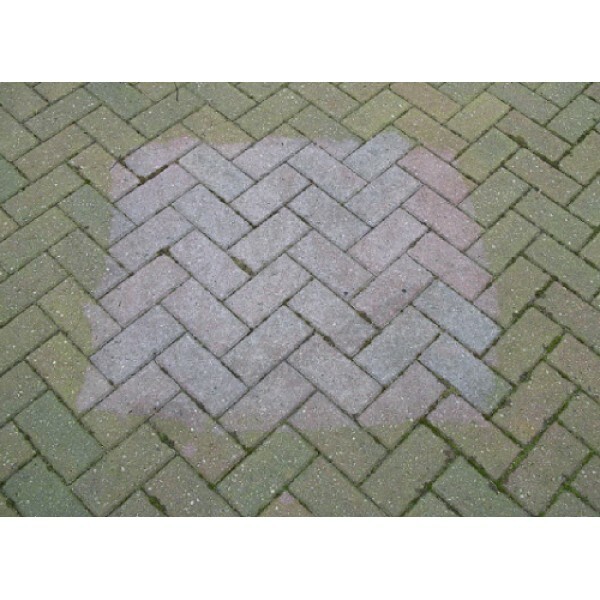 Scrape, brush or preferably power wash treated area. It is then usual for a second application to be applied to ensure all spores are killed, and to eradicate new growth. Degree of absorption depends on the porosity of the substrate. As a general guide one litre of CW4 will cover approx. 10 sq. mtrs. on smooth faced stock brick , down to approx. 2 sq.mtrs. 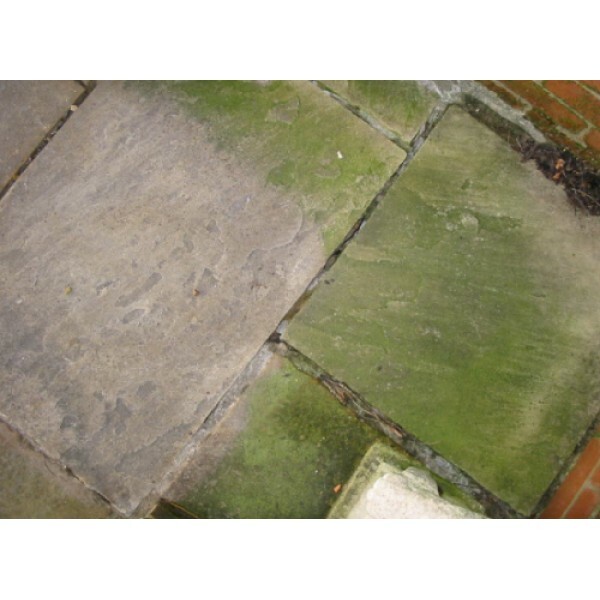 on rough absorbent masonry. 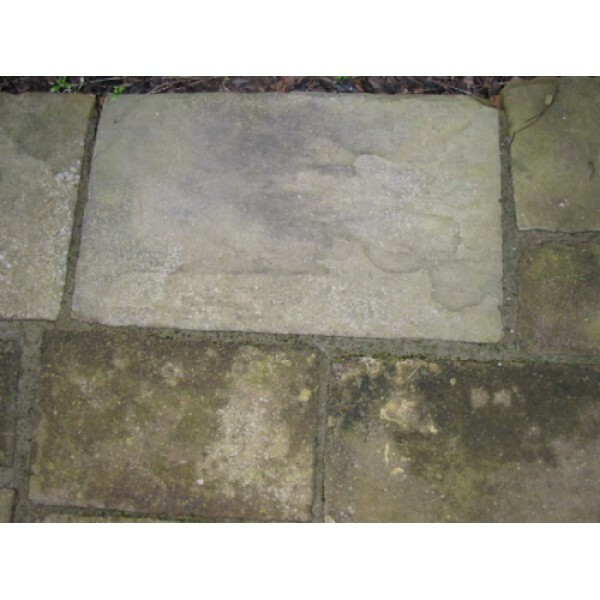 Portland stone, limestones, tarmac : Product will stain some limestone substrates, and will occasionally discolour tarmac..
Whatever the substrate ALWAYS TRY A SMALL SAMPLE AREA FIRST.